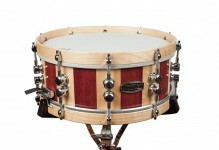 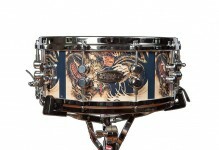 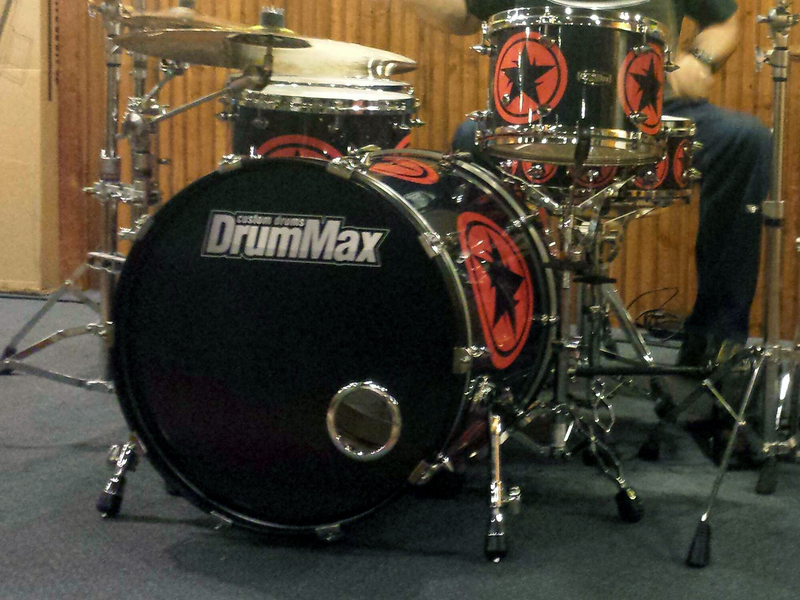 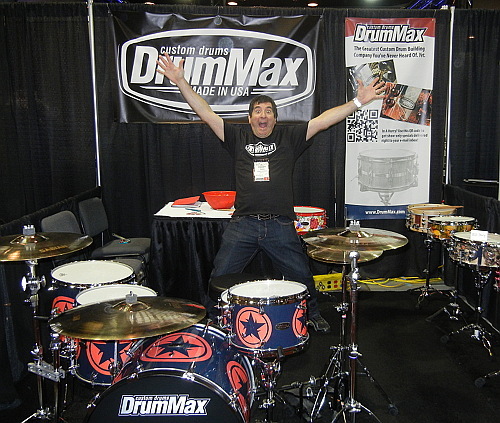 We built this kit as a replay of our original spiky lugs kit, seen at our debut at the 2012 NAMM show. 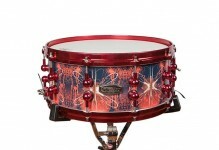 This kit has an incredible sound and includes a 22″ bass drum, 10″, 12″, 14″, and 16″ toms, and a 10-ply, 14″x5″ snare, all wrapped in a black, red, and white star design. 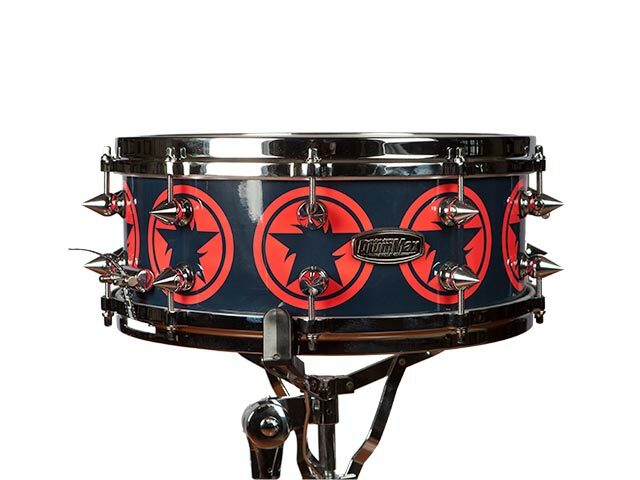 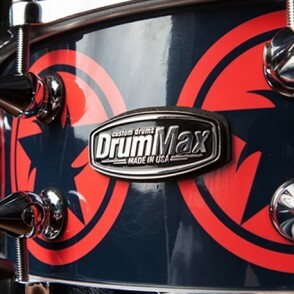 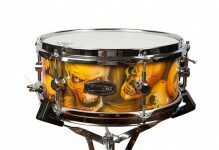 We’ve added spiky lugs to this kit to make it extra-hot and superbly standout.